SBS introduced the first digital battery hydrometer to the U.S. stationary and industrial battery market back in 1988. 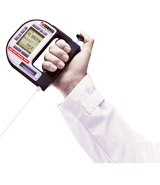 For over 30 years, SBS has sold and serviced thousands of hydrometers. 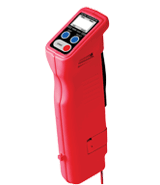 SBS provides the newest technologies in battery maintenance equipment today. 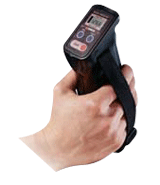 Hydrometers (density meters) measure the specific gravity of a battery’s electrolyte. Based on the specific gravity readings of the samples taken and the battery manufacturer’s published specific gravity reference values, the user can determine the state of charge of the battery. Retaining these hydrometer readings and data over time is recommended by IEEE as part of any Battery Maintenance Program. Digital hydrometers / specific gravity testers are commonly used in utilities, telecommunications, industrial, food and beverage, petrochemical and other applications. In contrast to bulb-style hydrometers, our digital hydrometers provide highly accurate recording, storage, and transfer of battery data to a PC -- eliminating hours of hand recording and entering data. As a result, time spent on battery maintenance is reduced significantly. Our newest SBS-2003 Digital Battery Hydrometer provides improved performance, exclusive wireless downloading capabilities, and compatibility with our battery analyzer (SBS-6500). 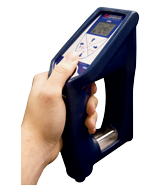 Digital Specific Gravity Tester for Lead-Acid Batteries with Downloading Capabilities. If you have questions regarding which of these hydrometers will best serve your application, please contact our Test Equipment department.